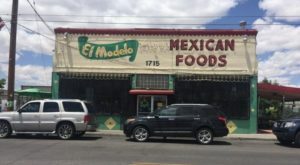 For decades now, this family-owned and operated diner has been serving up amazing food to New Mexicans in Albuquerque, and along the way the restaurant became notorious for one ridiculous meal. After a patron came in and asked for a burrito with “everything but the kitchen sink,” a gigantic, over 8-pound burrito was born and has since earned its claim to fame. If you can devour a full Travis, you’ll be one of very few. Get ready for the most outrageous, gut-busting meal you’ve ever had at this beloved diner in Albuquerque. 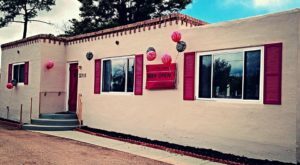 Welcome to Grandma's K & I Diner located in South Valley Albuquerque! Since 1960, Irene Warner opened the diner and ran it with her family until 1999 when she passed. 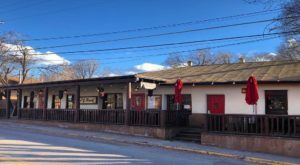 Although this charming diner has gone through many owners since, they still serve up the great food many locals have grown to know and love. Not much has changed in this diner since it opened. K & I Diner offers a unique, retro atmosphere. Besides a little bit of polish, much of the original furniture and antiques are present. From old radios to the antique soda dispensers, everything here is original. 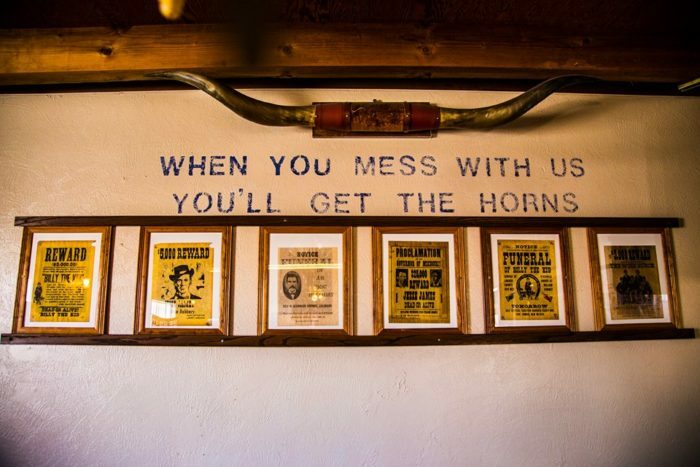 You'll also find many wacky, old school signs around the diner that add to it's '60s charm. What truly draws people into the diner, though, is the infamous Travis. 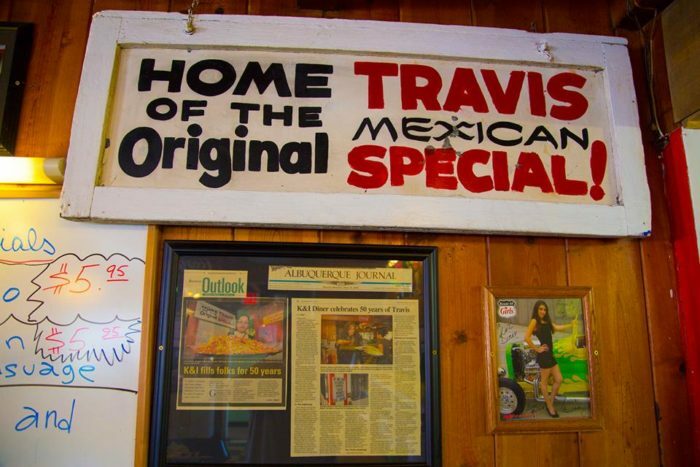 The "Travis" is an outrageous 8-pound burrito filled with beef, beans, then topped with cheese, chile, and a pile of french fries. 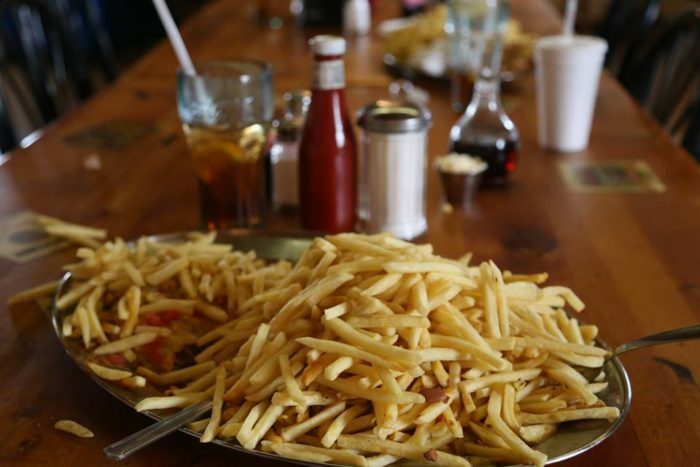 You'll be wondering where the burrito even is as you dig it out under a massive pile of delicious homemade fries. This ridiculous burrito is served upon a silver platter and has brought many to try to complete the challenge, though only two people have in more than 40 years. 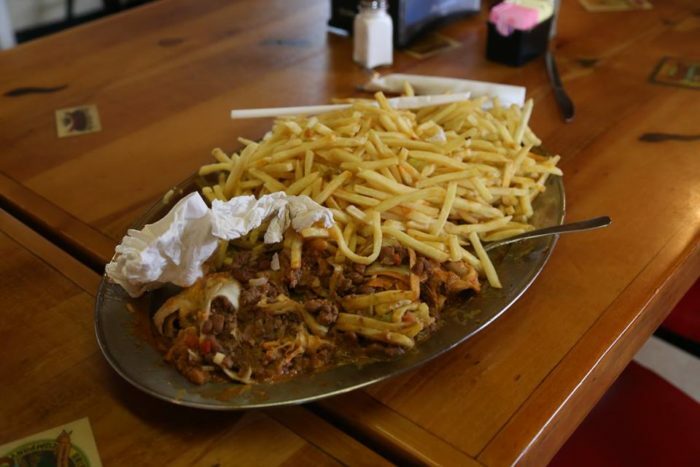 The Travis was featured on Man Vs. Food, and no one on the show could complete the challenge. You can order different variations of the Travis to get a taste without breaking your stomach. K & I Diner serves up four different versions of the Travis. Travis on a Silver Platter is the original, gargantuan burrito. You can also order a Full, Half, Quarter, or Wimp Travis if you're not feeling up to the challenge. The Quarter Travis is the most popular option. No one quite knows who "Travis" was, but his legacy lives on. Rumor has it that the Travis was created after a customer came in and asked for a burrito with "everything except the kitchen sink," and that's exactly what he received. 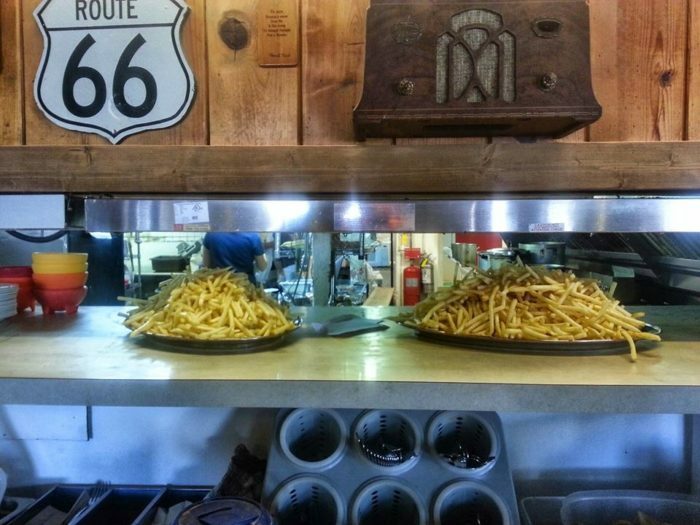 Since the diner serves up lunch and breakfast fare as well, it was topped with french fries. Since the creation of the Travis, the diner has created other dishes that are topped with fries as well, and they're always a hit. A breakfast favorite is "Bert's Mess" which is a pile of fries topped with ham, bacon, sausage, red or green chile, and two eggs. 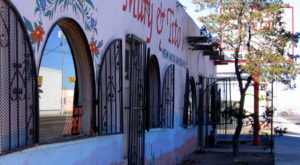 All of K & I's creations are an ode to New Mexican cuisine. 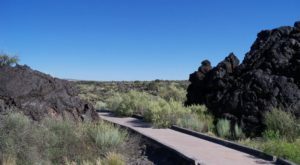 Most locals have fond memories of the Travis, but it has truly gained legendary status. 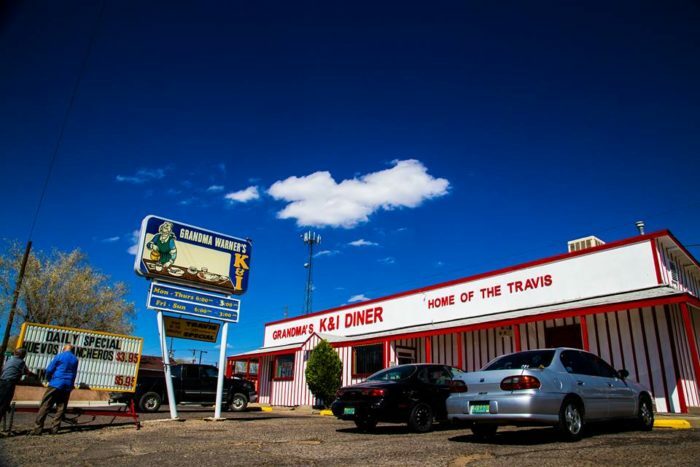 Many nearby establishments have tried to recreate the Travis, and some even claim that theirs is just as good, but any fans of K & I know that nothing compares. In 1980, the Travis was even trademarked, but that hasn't stopped people from trying to recreate the delicious monstrosity. If you're not quite up to a challenge, K & I Diner is still a classic, charming diner with amazing food. Many locals visit this diner for breakfast and lunch regularly. 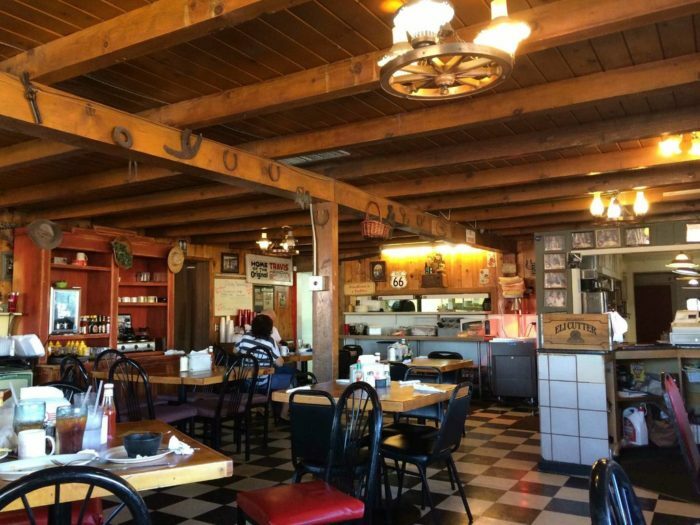 Whether it be the huevos rancheros, all-you-can-eat spaghetti, or a "hot" burger with green chile and bacon, K & I is always an amazing choice for homemade food with some old school charm. 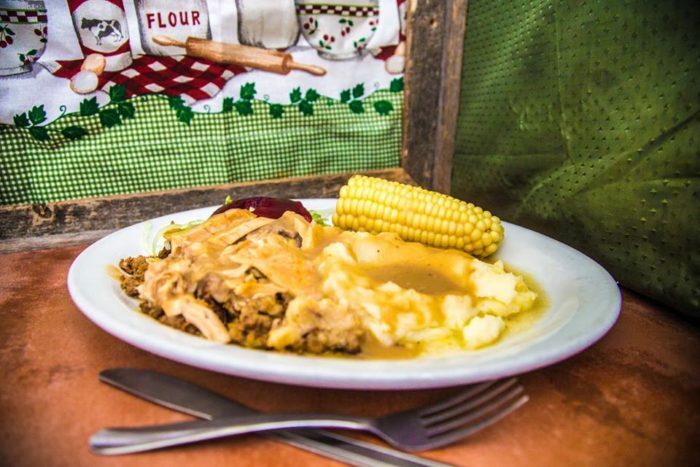 This charming diner carries a name to fame, and we guarantee that this meal will be the most outrageous and delicious meal you've ever had. K & I Diner is located at 2500 Broadway Blvd. 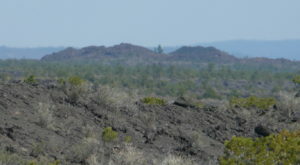 SE, Albuquerque, NM. 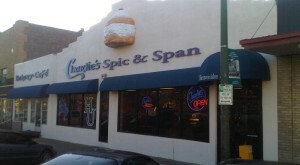 They're open every day from 6 a.m. to 3 p.m.
Have you ever tried to finish an entire Travis on a Silver Platter? Do you have fond memories of K & I? We’d love to hear about your thoughts and experiences in the comments! 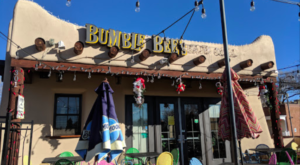 For another local favorite, check out this cafe in Santa Fe that has gained a following for having the spiciest green chile in New Mexico.